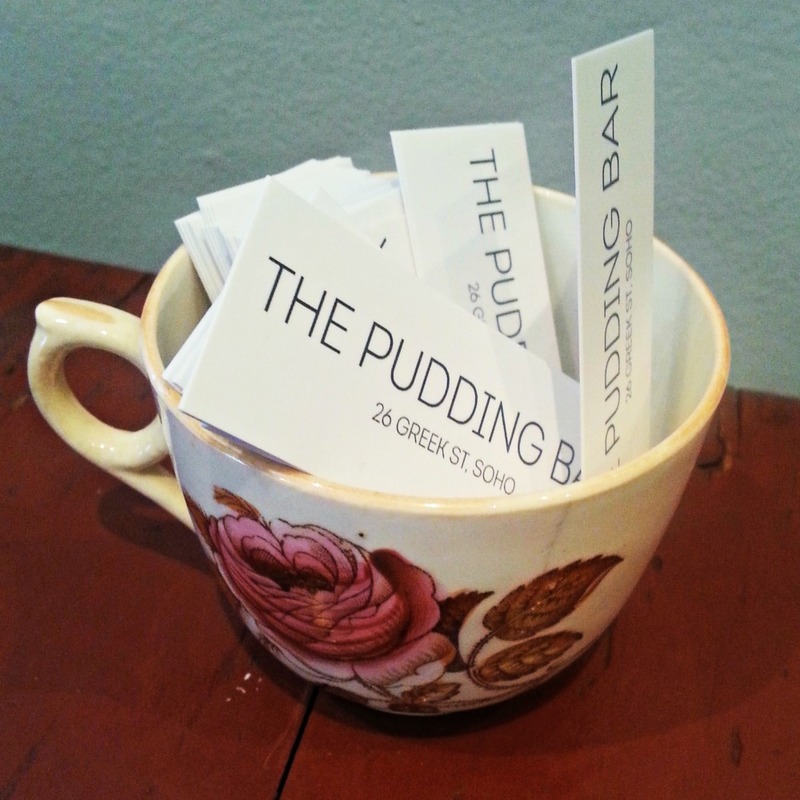 The Pudding Bar, a new pop-up restaurant in Soho specialising in just dessert and wine, recently opened. When I mentioned this on Twitter and Instagram, people got very excited. 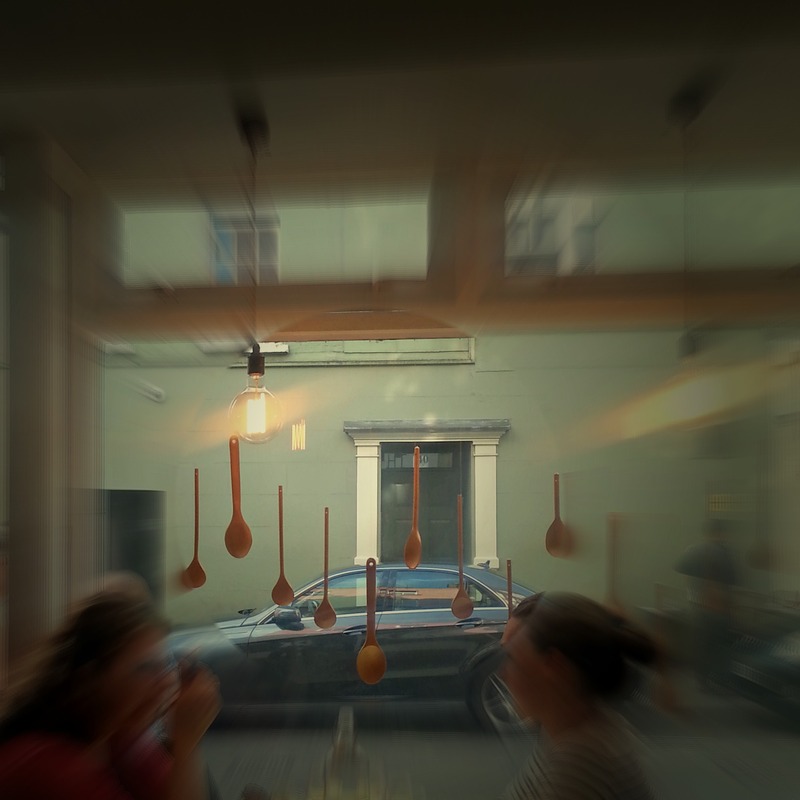 For many, dessert is the best part of a meal so somewhere you can get straight to the good stuff no messing is a dream. 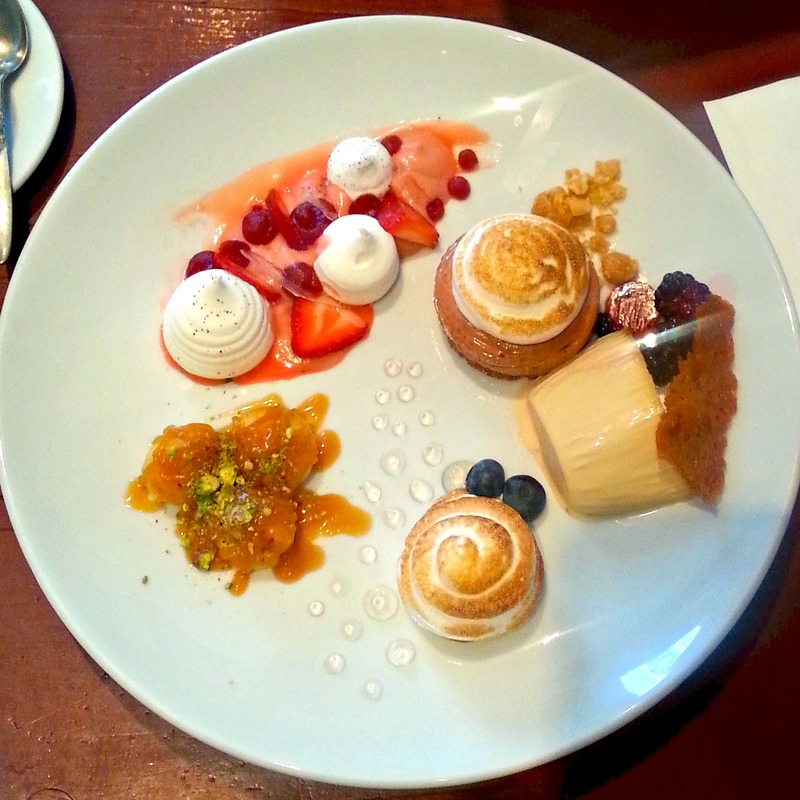 The small but perfectly formed menu features cakes, puddings, wine and coffee. We went for the taster plate for two which had five signature dishes. As I’m a little piglet, I could quite easily have polished the plate off on my own. I don’t have a sweet tooth and was concerned that it might be a sugar overload. However everything was perfectly balanced and tasted delicious even the panna cotta which I’d normally try and dodge on a menu. 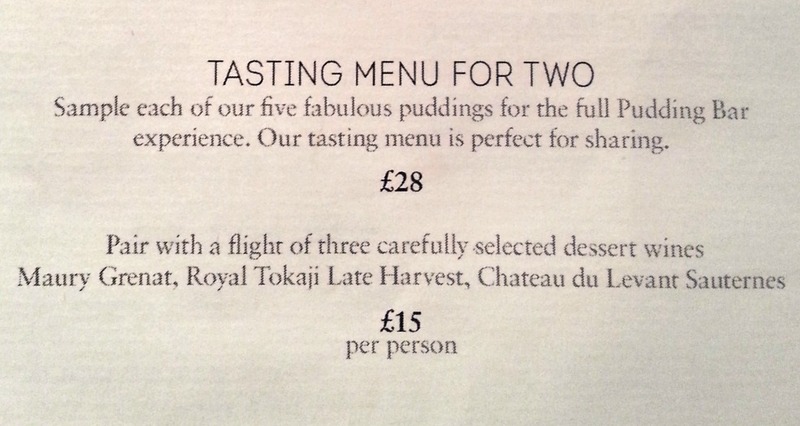 The quality is no surprise really considering the chef is Laura Hallwood, previously at The Savoy and Gordon Ramsey. The Pudding Bar menu changes and there’s the cheese plate to try. It’s open every day (apart from Sundays) from Noon until Midnight. Hurry up though the pop-up is due to close in early October. I bet…You’ve just reminded me that there was a London bakery called Nomnom that specialised in wheat/gluten/dairy free cakes. Must check if it’s still there. Pingback: Londres : 5 spots où manger approuvés par les blogueurs ! Previous Previous post: #100LippyDays 50 day update!